Leopold is mainly remembered as the founder and sole owner of the Congo Free State. He lay claim to the Congo, an area now known as the Democratic Republic of the Congo. Leopold was forced to give control of it to the government of Belgium. 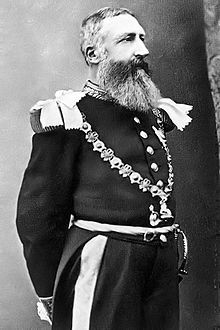 Leopold II had a wedding ceremony with Caroline Lacroix, a prostitute, on 14 December 1909, five days before his death. This was not legal under Belgian law. This page was last changed on 17 August 2017, at 09:06.